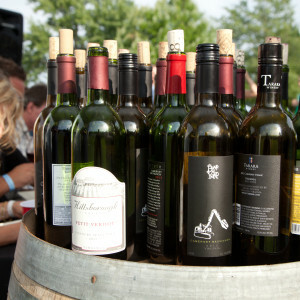 The wine and food festival I’ve been waiting for all year is just around the corner! Epicurience Virginia returns Labor Day weekend and gives you a chance to savor the flavors of Virginia’s finest food and wine! What better way to end summer than with a glass of Virginia vino in hand on the grounds of historic Morven Park on Sept 5. 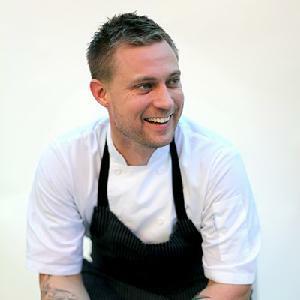 This year, meet Top Chef contestant, cookbook author and chef Bryan Voltaggio who will be headlining the Grand Tasting, signing books and cooking up culinary creations in the chef demonstration stage. 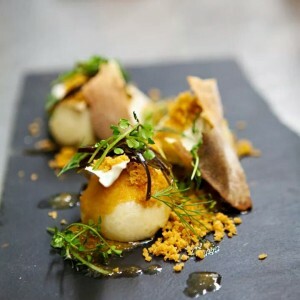 Voltaggio, who recently opened Family Meal in Loudoun, has become one of the most recognized chefs in contemporary American cooking with his seasonally driven and internationally known restaurant VOLT, where he uses innovative cooking techniques to highlight the finest local ingredients. This year’s Grand Tasting will also feature celebrated local favorites Chris Edwards from Salamander Resort & Spa, Jason Lage from Market Table Bistro and Bonnie Moore with Willowsford. This day-long edible showcase not only includes chef demonstrations and food and wine tastings from more than 30 vendors, but also features unique components that give you a chance to learn about the Virginia wine scene. If you want to wow guests at your next party by creating the perfect food and wine pairing then grab a seat in the education pavilion where Anthony Giglio, one of the most entertaining wine and spirits writers on the planet, will be the MC. Or, try blending your own wine during the Ultimate Winemaker Experience. For a more exclusive experience, purchase VIP tickets to the Grand Tasting, which will give you access to additional food and wine samples and chefs like Top Chef contestant and owner of FOODE Joy Crump. The Grand Tasting is just one of the exciting events happening throughout the weekend. Book a stay at one of our hotels or B&Bs to participate in other culinary experiences throughout the weekend including the opening night chefs dinner at The Restaurant at Patowmack Farm. During this intimate gathering, meet celebrated chefs including Voltaggio and James Beard award nominee Tarver King, sample farm-to-table cuisine, local wine and spirits all while enjoying live music and Virginia’s countryside. Other events include the Loudoun Wine Awards Reception on Sept. 3 and a Sunday brunch at Salamander Resort & Spa, which features a make-your-own bloody mary bar with 10 house-infused vodkas. Tickets for Epicurience Virginia and all other weekend events are on sale now at Epicvirginia.com. Get yours today!